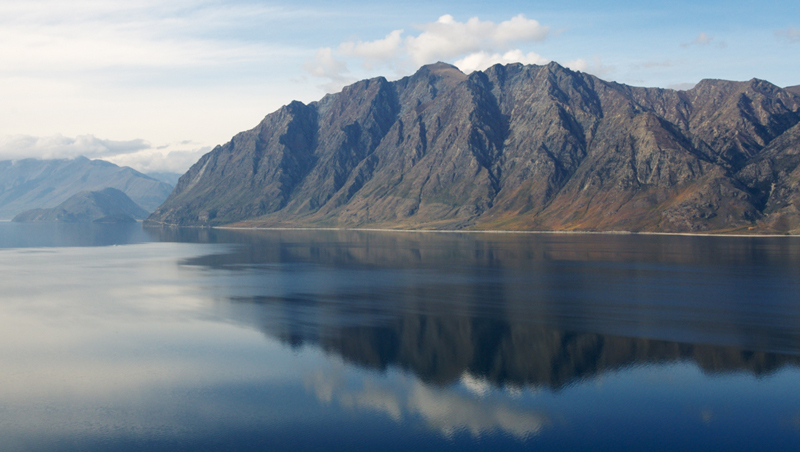 Welcome to Lake Hawea and the 12th annual Contact Epic. The LMS Events team congratulates you on getting this far and look forward to you adding to the camaraderie and positive vibe this race experiences. The next is the easy bit, just hop onto your bike on Saturday morning and keep pedaling until we say stop. If you need any help with anything please ask someone with a fluro vest. If for any reason you have registered and decide not to race please text your name and race number stating DNS to Danielle Nicholson 0274595106. For parking, drive past the front of the Hawea Hotel and turn right behind the garden bar. Follow the signs to the rear of the Hawea Hotel where, on the top level, there is a large paddock for parking. No parking please on the roads leading to or around the dam. Drivers, be aware of cyclists riding down-hill from the hotel to the start line in the dark. Bike lights are required during the hours of darkness. The Centurion race starts this year with the Epic riders at 7.00am. The Centurions have yellow plates and are riding a very long way so let them draft, help them out, you are not competing with them 😉 Centurions will go straight ahead at the Epic/Classic turn around point out and back on the same course for 35km before reaching the Epic river-crossing point again and then joining up with the rest of the Epic and Classic riders. A small Aid Station will be situated at the Centurion turn around point at the top of the course. The Epic race starts at 7.00am. As with the Centurion, if you wish to be near the front you need to get there early. However, for everyone’s safety if you are not a serious contender please do not stack up at the front for the start. Most importantly please do not arrive late and try to push in or jump the fence, respect the fact that some have got up early to get their spots. 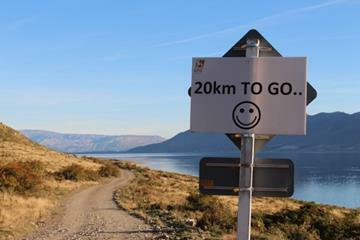 Toilets are located at the Hawea Hotel or at the start line for Centurion, Epic and Traverse riders. The Hawea Hotel will be open for coffee, toilets and breakfast (not necessarily in that order) from 5.00am. For the Classic, 2 toilets are located in the Kidds Bush camping area or via the portaloo next to the start line. The start line is on the grass on the eastern end of the reserve. For those supporters driving out, remember to leave straight after the start or stay (approx 1.5 hrs) until the Epic riders have come past as this will be greatly appreciated and reduce vehicles V cyclists on Mead Rd heading back to the state highway. Classic Parking, follow the marshals’ directions to parking areas. It will take approximately 45-55 mins from Wanaka to get to Kidds Bush. There are no lights out there until sun rise, so bring a head torch. There will be some campers using the camp ground so some consideration for them would be great. For those getting the shuttle bus to Kidds Bush, the pick up is from the front of the Hawea Hotel at 5.30 am and is independently organised through Ritchies Bus service 027 511 1264. There is no return trip to Kidds Bush after the race. Course deviation: About 14 km past Kidds Bush you now have to go around the Leap Hut bridge as this is closed to all Marshalls will direct you (no distance change). The river crossing has changed, at the turnaround point (which is marshalled) you will now go straight across the Hunter River to the opposite bank and ride via a new track on the Dingle Burn side to just past where the old river crossing came out. It will all be well marked. If you are crossing the river, spot your exit point down river before you start. Cross at a 45 degree angle to the flow. Keep your bike above the water if possible, if not, keep it on the down river side of you. If you are not sure, ask for help. Remember the first Aid Station is approx. 4 km from the river crossing and you may get wet again before you get there so if you are into changing socks etc I suggest doing it at the Aid Station. The existing hazards: Bunch riding on the road and other vehicular traffic. Loose and exposed rock, narrow tracks, fast descents with water ruts at the bottom, steep exposure at the tracks edge at times, wandering stock, other passing riders and rider fatigue, very cold river and stream crossings along with marshal vehicles on the course. Remember to take your donation (paper is lighter than coins) for the tea and scones fund raiser at the Dingle Burn Café (Centurion/Epic/Classic only). The Traverse 7:30am start is the same place as the Epic start only you will be heading in the other direction. Come early to cheer on the Epic riders as they head out on your adventure. For the Traverse, your biggest hazard will be crossing Camp Hill Rd at the 5km and again at the 30km mark. Marshals will manage that crossing point so please slow down and be prepared to stop if asked or if vehicles are on the road. On course, there are black printed arrows → on signs to indicate any track / course deviation from the one you are on as well as orange painted arrows on the ground. 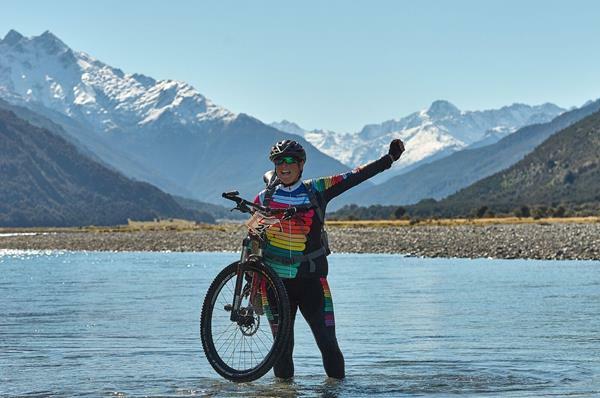 For the Traverse riders, the Hawea and Clutha River Tracks remains open to the public so please show the appropriate courtesy and share the space if you see other track users. There are no road closures. Normal road rules apply to all roads and 4×4 tracks on all courses at all times. You may encounter a 4×4 vehicle coming towards you on the private Hunter, Dingle Burn or Hawea River 4×4 tracks. This will be in emergency cases only as they will be heading to an accident site, so always ride in control. However, there are a few private vehicles on both sides of the valley as the roar is on and they are there hunting, we cannot control their movements so keep focused and be aware. Note to self; it doesn’t matter if you are coming first or last, your rubbish is your rubbish. Own it, love it, keep it. No one wants to see it on our tracks. If you are seen dropping rubbish you will be disqualified. We take a very hard line on this as it’s an essential part of keeping the land access for this race. Very Important Note. Keep left on all tracks and roads, particularly so on the fast descents. Do not change suddenly from one side of the 4×4 track to the other as faster cyclists trying to pass could end up in your spokes and both of you will, at best, end up in a heap on the ground. Be prepared for the passing cyclist to call out that they are coming through “on your right” and keep to your line. For this safety reason we do not recommend IPODs. The above point is particularly important for the slower Classic riders that will be caught and passed by the faster Epic riders. So keep left on the descents, ride in control at all times and indicate your intentions early. Weather: Frosts and morning cloud then becoming fine. 6-10 degrees. 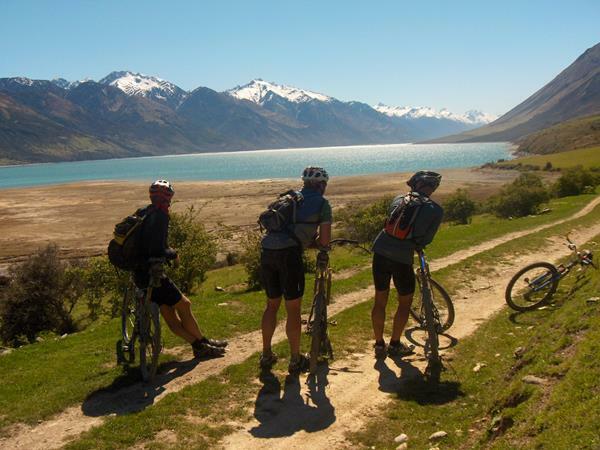 It will be cold for the Traverse riders on the Hawea River track in the morning so dress accordingly. This year your transponders will be attached to your race plates, do not cut your plates as you could end up being untimed. We do not accept transferred entries. For professional and medical reasons we need to know who is on the course and what medical conditions etc they may have in case of emergencies. If you withdraw from the race, PLEASE inform a marshal ASAP and do not cross the transponder mats if you are back in the garden bar with your bike. Bunch Riding can be dangerous: If you are not familiar with bunch riding please stay out of them. We tend to get one significant crash from the bunch riding on the road each year and we would really like none. This will mainly affect the Epic riders. Remember these rules: Be predictable with all actions, Avoid sudden braking and changes of direction or speed, Be smooth with turns at the front of the bunch, Always retire to the back of the bunch, Pedal downhill, Point out obstacles, Don’t overlap wheels, Do not panic if you brush shoulders, hands or bars with another rider, Look ahead, Obey the road rules. You will receive a Contact Epic Vehicle sticker at registration. Please place this on your car for two chances to be first at prize giving to pick from our top selection of spot prizes on our models. Traverse prize giving, 11 am / Cent, Epic and Classic at 5.30pm. If you want your bike cleaned after the race for $10, we have a fundraiser for the Girl Guides at the finish line. By the time you have had your 2nd beer the bike should be looking like new again. This means you can put it straight in the garage and not think about it again for a few weeks without feeling too guilty. Most importantly be safe out there. Focus on the journey, not the destination. If an opportunity arises to help someone out with a break down or at crash then take it. Karma will pay you back in spades. Record your time lost and we will credit it back to you. Traditionally we have the friendliest riders and volunteers out on course, it’s a tradition well worth preserving. If you are unsure about whether you will need lights, take them just in case. It will be dark just after 6.30pm. If you are not past the Dingle Bluffs by last light you will be withdrawn from the race. If you are still on the Traverse course at this time you should be calling for help!! Enter the 2019 Contact Epic by CLICKING HERE and you could ride home on a brand new Trek EX7 dual suspension mountain bike worth $3500. Yes, Trek have been our number one bike sponsor from the very first race in 2008. 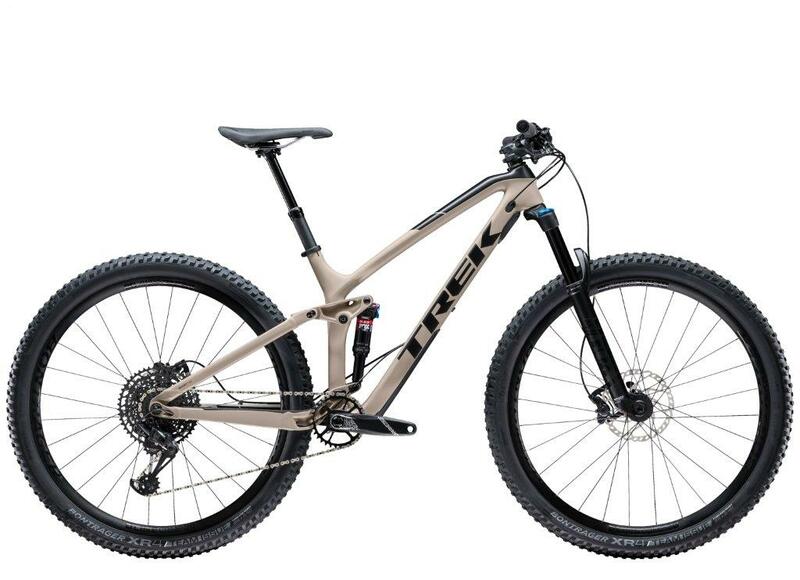 Still going strong, they recognise that this is Trek Country with their wide selection of bikes perfectly suited to this variable and challenging terrain. Check out the spot prize you could win just by entering and being at the prize giving. Wouldn’t it be good riding this around the Contact Epic next year. It’s great for riders who don’t want to do just one kind of mountain biking, but who want to explore everything from XC marathons to epic descents. The dropper post upgrade makes this Fuel EX model even more capable. The NX Eagle 1×12 drivetrain gives you an extra-low climbing gear for tackling steep terrain. Wide Line Comp 30 wheels provide more tyre support, so you get better traction and control. 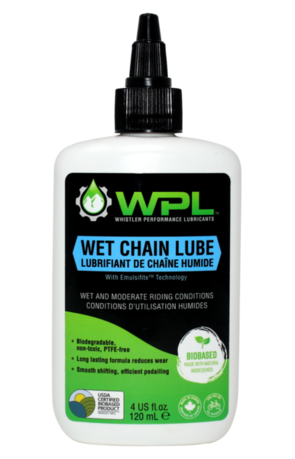 WPL only use bio-based and eco-friendly ingredients in their formulas. This means no petro-based additives, synthetic oils, or toxic organic solvents. This band supports our eco friendly, “leave no rubbish” approach to riding this event. Think of all the oils and lubes that wash off into or streams and rivers. One bike, no big deal, but 700 in the Epic or all the other races throughout the country plus every time we wash our bikes down! Please support WPL and LMS Events in saving the planet one river at a time. A restaurant, hot pools, day spa and gym facilities all add to the superb rooms. Perfect for day before and the day after! They are also keen mountain bikers like you and long term supporters of the Contact Epic. A particularly cold start (frozen water bottles!!!!) did give way to a beautifily clear sunny day which brought about near-record breaking results and a lot of smilesand allowed you all to enjoy the magic scenery that is a big part of this ride. Race of the day has to go the Classic Open Men’s. Close racing with the lead changing and only the final sprint to the line after 95km splitting the lads up with seconds between them. Tim Rush from Oamaru managed to fend off course record holder, Dougal Allan, by 6 mins to take out the signature EPIC race. New comer to the Epic saw multi sport athlete, Simone Maier, keep our super model, Kath Kelly from her 8th Epic victory. The date is set….. April 13, 2019. Get in early!! Tell your mates to get in early!! We don’t like disappointing anyone but the smooth running of the race is in part due to our concrete cut off. We will return 75% of your entry fee before March 30 for any reason so there are no excuses. Epic and Classic entries are open NOW click HERE to enter. We hope to have the rest sorted by the end of May. We will post on FB when these are open. If you don’t like to brag then just buy some merchandise. Cycle jerseys and tees are still available online via our merchandise page click HERE. If you missed out on a sticker and you would like anyone driving behind you to know where you were on the weekend please just drop us an email and we will post out to you. 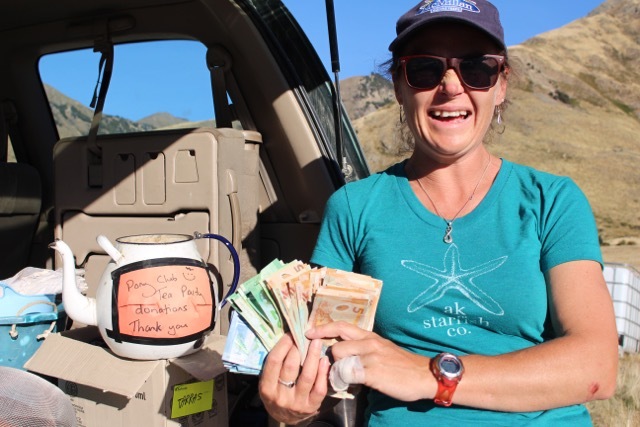 If completing NZ’s ultimate and most remote mountain bike event didn’t give you enough of a feel-good factor then have a look at what else your money did. Tea and scones raised over $1400 for the Pony Club to import and subsidise a coach for the local children. 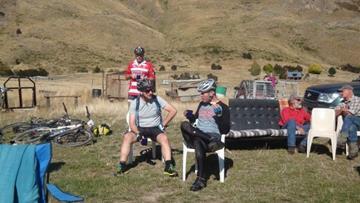 Bike wash raised $1100 for the Mount Aspiring College 1st 11’s trip to Wellington. Your entry fees and Contact donations helped fund $6000 to local community volunteer groups and an additional $13 000 will be part of a community fund that locals can access. A group of riders raised over $1500 for CANTEEN. And we had a group of 12 riders who rode for children living in extreme poverty in Africa. These SO THEY CAN riders raised over $2500. 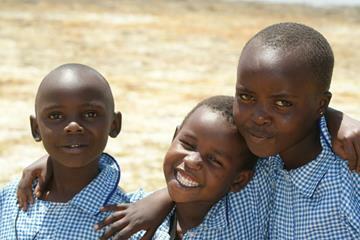 If you wish to support further by sponsoring a child please contact Raewyn on raewyn.phipps@xtra.co.nz . These will be sitting outside 14 Hidden Hills Dr until Sunday night. Feel free to send someone around to check/collect if you have lost something. After that date they will be taken to the recycling centre. We have had some great feedback about the race from a lot of riders on Facebook and via email. We work hard to keep improving your experiance and welcome your views and how we can achieve this. We acknowledge that it was a little too cold this year and will have the temperature increased by 4 or 5 degrees for next year. Other than that please feel free to email us at info@lmsevents.co.nz. Keep an eye on our FB page as we are posting stories and photos from the event. We look forward to seeing you all next year for Contact Epic 2019 and thank you for your part in making this great day what is was. You CAN, you SHOULD, and if you are brave enough to start, You WILL. Hi all, the Xmas feasting is done and the holidays finished so its time to turn your attention to the Contact Epic for 2018. There is only one real answer: Enter for 2018 and find out. DO IT NOW!! Click Here and let the games begin. Planning to become a soldier? Remember only 100 Centurions spots available for the big 160km. Also any withdrawals prior to April will include a 75% refund no matter what the reason. A pre-race pasta meal is available during registration in the Hawea Hotel restaurant. 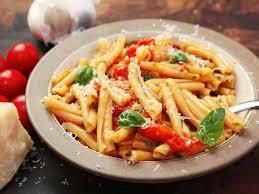 It will include two pastas (one vegetarian and one meat), salad, bread and a hot fruit crumble with custard. These are available for $25 online. We have limited numbers so best to book now. You are welcome to book for your supporters too. Not booked your accommodation yet? 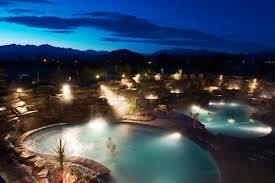 Book into the relaxing, self-contained Oakridge Resort, which includes the use of heated outdoor pools and spa pools. The best place to be on Sunday morning!! Let them know you are riding the Contact Epic and they will give you a 15% discount. 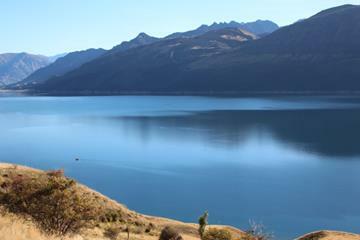 Hawea Hotel rooms are full but they are doing a special deal for a bed in their 4 and 3 bedroom bunkrooms. If you email or phone directly and say you are riding or supporting in the Contact Epic you will get a discounted rate of $50 per person for the Friday and Saturday night. To celebrate Valentines Day Tineli are giving away mountain bike specific tees to one couple who have entered the Contact Epic and emailed us the two names before midnight Monday, February 19. Entries can be in two different legs. The next 10 starts now April 14 2018 – Enter Now! For 2017 race finishers we have just opened the entries for next year. So grab the early bird price and commit to another awesome day at the Contact Epic. If you missed on the night—just email your postal address and we will get one out to you. Lots of photos and stories being posted. Please join our page here and review the event. Are now available for purchase on line at www.studio5.co.nz . Amazing shots of an amazing experience. Photo books are available and are great coffee table adages, perfect for families that competed and ideal for a group from a business. We still have a number of cycle shirts and tees for sale. Just go online here as the online price includes postage. Once again, an outstanding effort on your ride both on and off the course. Thank you for being part of this event for the past 10 years or even if this was your first Contact Epic experience. 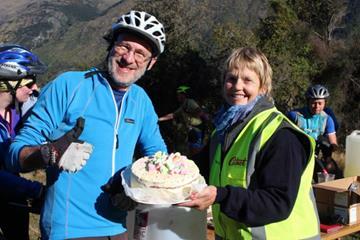 Our volunteers commented on how appreciative riders were of them taking the time out of their weekend to assist. The weather played its part in what turned out to be another great day for a bike ride. We take full credit for that. It takes a lot of sleepless nights, religious interventions and IOUs to pull off a good day like that. Sorry we don’t have the space to comment on every merit category. The Traverse race was dominated by Mitch Tawera of Wanaka 2 mins off the course record in 1:16, followed by the next 3 fastest, as students, Ethan Rose of Coalgate in 1:20.26, Campbell Wright of Wanaka 1:20.27 and Josh Miller from Gore in 1:23. In the Woman’s race another mix of speed was spread between the fastest, Emily Heath a Wanaka student in 1:42,Open Woman Jessica Besley of Auckland in 1:44 and Vet Woman Belinda Lancaster of Christchurch in 3rd at 1:47. From a racing perspective, it was time for some new blood in the Epic. Edwin Crossling from Wellington did an outstanding time in this first attempt in 4:39 and was only 3 mins off our 2012 course record set by Dougal Allan. I am very much hoping Dougal, James Williamson (injured this year) and Edwin will all be on the start line next year. Second and third was shared by Wanaka local John Mezger and Mike Sangster from Alexandra respectively with a one second between the two. There must have been a gentleman’s agreement there. The women’s title was narrowly claimed by Jo Williams of Wanaka in 5:31 with Soozie Wood of Nelson just 30 seconds back and Nina McVicar of Christchurch pulling in at 3rd in 5:39. The Classic race held a few surprises with the Mens open winner being Richard Anderson of Wanaka in 4:09 (a minute out from the course record). 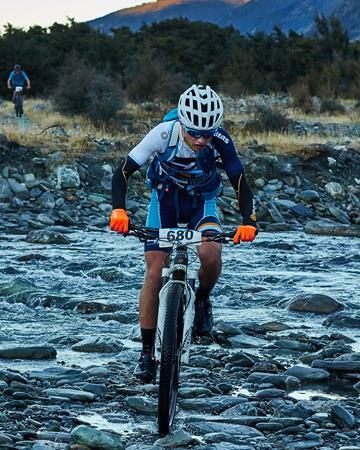 Our youngest competitor Archie Martinovich from Christchurch at 15 yrs old came 2nd with Ty Sargerson at 16 yrs just 30 seconds behind. There were some good riders in the Classic and this just shows how talented these young guys are, well done. For the Classic woman’s race, interestingly 4 vet woman were amongst the fastest time and should have entered the open to claim the money prize. However only one was faster than Sarah Gillespie a regularly Wanaka contender won the Open Woman’s in 5:41, 2nd was Kimberly Baker of Christchurch in 6:02 and Lisa Mcfarlane of Wanaka coming home in 3rd. 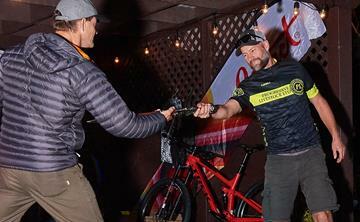 The soldiers took on 100 miles of Epic for the first time this year. The first 35 km of the Traverse was quite challenging given the darkness and thick fog that sat around the course making it very erie and difficult to see the direction arrows. They all got off the course before the cut off and appeared ahead or behind the Epic riders. So the bragging rights for winning the first Centurion and obviously setting the time to beat was Shaun Portegys from Alexandra who has graced the podium many times over the years. He cracked that out in 6:41 hrs. Dave Drake of Hawea Flat rolled in in 2nd place at 6:56 with Simon Callaghan from Gore 3rd at 6:57. Both Dave and Shaun could have raced in the Vets and Simon in the Masters division. It looks like we get faster and tougher with age ;-). Floortje Grimmett of Wanaka set the bench mark for the woman to beat at 7:31. Ronel Cook of Dunedin coming in in 2nd at 7:40 and Whitney Dagg of Christchurch at 8:48 in third. A big thank you to our bike mechanics, Jeremy and William from Racers Edge. These lads turned a bad day for some into a good one again with their magic. Racers Edge also provided the spare bikes for our broken down riders. The prize giving was good fun, so thank you for being part of it, particularly Kath Kelly, Steve Gurney, Eddie Spearing and Richard Anderson who have a wicked sense of humour and were once again great ambassadors modelling the superb riding kit from our generous sponsors. The character of our riders is evident, the camaraderie, helping each other out, and appreciating that the journey is the destination …Awesome!! As the race turns 11 next year, we look forward to seeing you all again to celebrate this or simply to defend your titles, take some photos, just enjoy a cup of tea and a scone at the Dingle Burn Cafe. Some may want to do a PB, others take care of unfinished business, step up to the Centurion, Epic or Classic, or take some family and friends with you on the Traverse, it’s all a matter of whatever blows your hair back and keeps you out on your bike. So from the Team at LMS Events, thank you for being part of this adventure and remember if you loved the race tell your friends, if it was too hard and hurt like hell tell your enemies. But you biked around it. 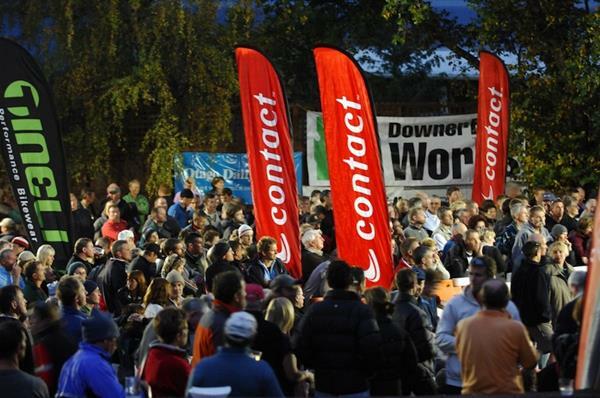 Congratulations….. You a one of almost 700 people gearing up for the Contact Epic next week. 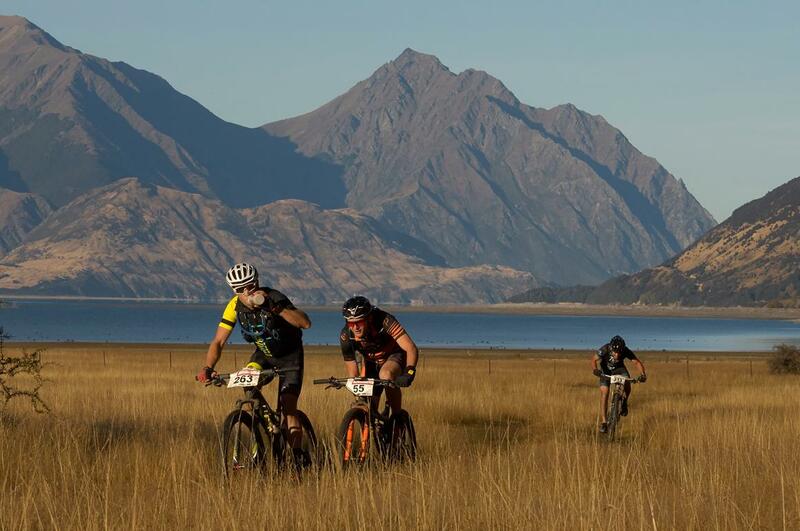 Good luck to those competing in NZ’s first 100 mile event the Centurion! It doesn’t matter who rides this in the future you will always have been the first. Now that you have done the training, the goal is to get to the start line without injury, and feeling fresh. Take care! Never a truer word spoken about the Contact Epic. This event is all about self-responsibility. We open this door once a year and you guys and gals ride through it. 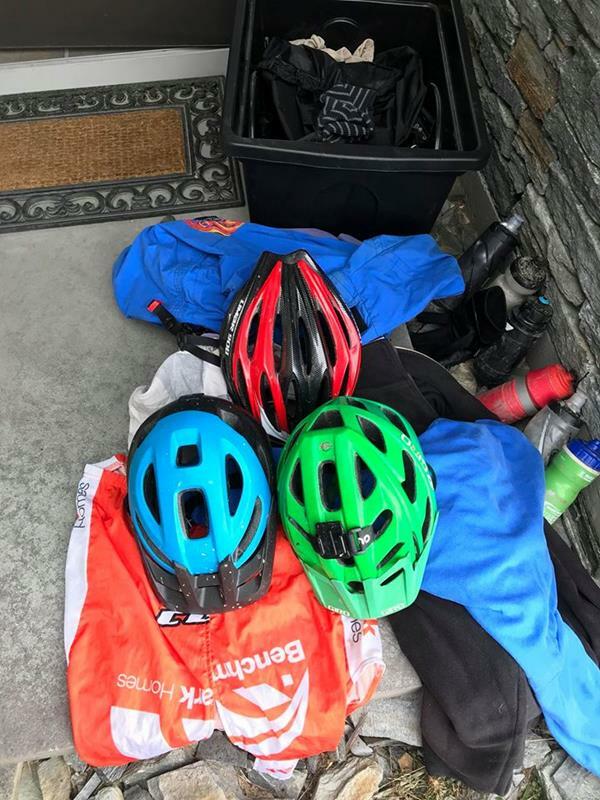 But if you haven’t got your bike sorted, checked the weather and got the right gear; if you don’t know how you are going to feed the machine on your journey around the lake then you may be lamenting a missed opportunity. Remember …. ” No Shortcuts, No Cotton Wool and No Excuses” so prepare for the worst! In 2008 Aaron Nicholson, Mike Johnston, Dr Andrew Mcleod and Bruce Lysaght did the very fist recce of the Epic course. 10 years later the 26 inch wheels are now 29, but nothing else has changed…..We took some photos, left a few tyre prints and had a great day in the back country….Please feel free to do the same. If you can’t make the race we would appreciate a quick email or text prior. This just makes logistics smoother and our volunteers’ tasks easier. If you now want to drop down a category, again email us over the next couple of days at Info@contactepic.co.nz and we will be able to make the change for you. We want you to enjoy the magic of this ride and not turn it into a sufferfest. We welcome you to the 10th anniversary of the Contact Epic. Outside of the significant challenge of each ride, the outstanding scenery, ridiculously good scones at the Dingle Burn, the event is special because of the characters it attracts, the sense of comaradire, support, fun and can-do attitude that our competitors bring. Registration is between 3 and 9 at the Hawea Hotel and is compulsory. There is no opportunioty to register on the morning of the race. Please check your transponder with our timing guy then as any issues must be solved prior to 9pm Friday. Some spot prizes are given out there. Remember to bring your confirmation! Full written briefing will be given to you at registration and will also be on our home page as well. They are also available from registration on the night for $25. Families are welcome to purchase as well. For those of you new to the Contact Epic there is a ‘once a year café’ at the Dingle Burn station to raise funds for the local pony club. They provide tea and scones for riders in exchange for a donation. Remember paper is lighter than metal! In the Classic?? Make sure you don’t have to get back on the bike you just threw in the bin at the end of the race. Be sure to book the bus to the start line so you can leave your car at the finish line. This needs to be sorted before Friday. NOTE: there is no transportation back to Kidds Bush at the end of the race. Not booked your accommodation yet? Book into the relaxing self-contained Oakridge Resort, which includes the use of heated outdoor pools and spa pools. The best place to be on Sunday morning!! Let them know you are riding the Contact Epic and they will give you a 15% discount. Yes, you can ride for them! LMS Events has aligned with the charity So They Can www.sotheycan.org to support So They Can in raising awareness and funds for over 300 of the neediest children in Kenya. We have 20 riders riding for these children. If anyone would like to ride for a child on Saturday or take on a long-term sponsor of one of these children please contact So They Can CEO Cassandra Treadwell at cassandra@sotheycan.org. Look for the hearts on the day! To celebrate their involvement with the Contact Hawea Epic, Trek Bikes are giving away 6 pairs of Bontrager Mountain Bike Tyres. Simply fill in the entry form HERE with your details and preferred tyre model and be in to win a pair of tyres valued over $200. This course is new for 2017, and is all three courses rolled into one. It involves competitors starting at 5:30am in the dark (front and rear light mandatory) and completing the Traverse course and then rolling on to do the Epic course. Due to the length of this challenge it is highly recommended that competitors can or have completed the Epic Course in under 7:00hrs. Cut offs for this will be 2:00hr to completed the Traverse Course (35km) to be off the course before the official Traverse riders start at 7:30am. Riders will then continue up SH6 on the Epic course either in front of or behind the Epic starters depending on how long it takes to complete the Traverse course. The overall Contact Epic rule applies, that is, if you have not passed the Bluffs on the Dingle Burn Station before last light you will be withdrawn from the race. The Epic course remains the flagstone event for prize money. Last Man Standing competitors may compete in the Centurion or Epic but if they fail to reach any of the cuts offs they will be withdrawn from the LMS competition accordingly. However for the super-fit who want to be part of this inaugural race and join the new Centurion 100 mile club this is the race for you. See below for Epic and Traverse course descriptions.